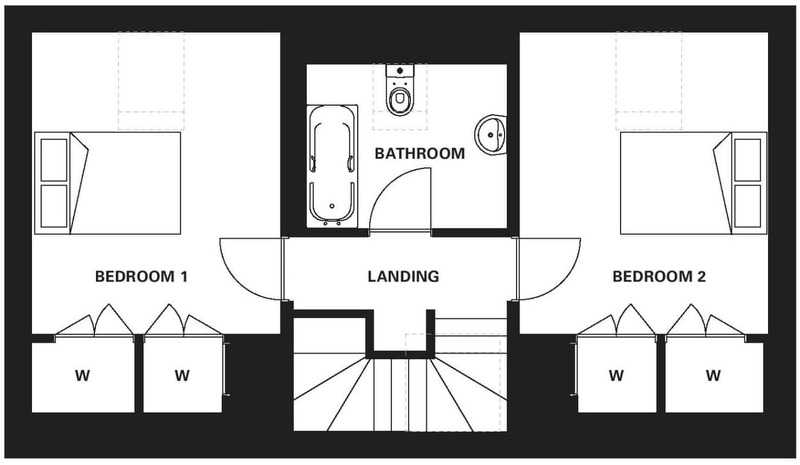 The R2 is a compact yet spacious house suitable for the first time buyer. 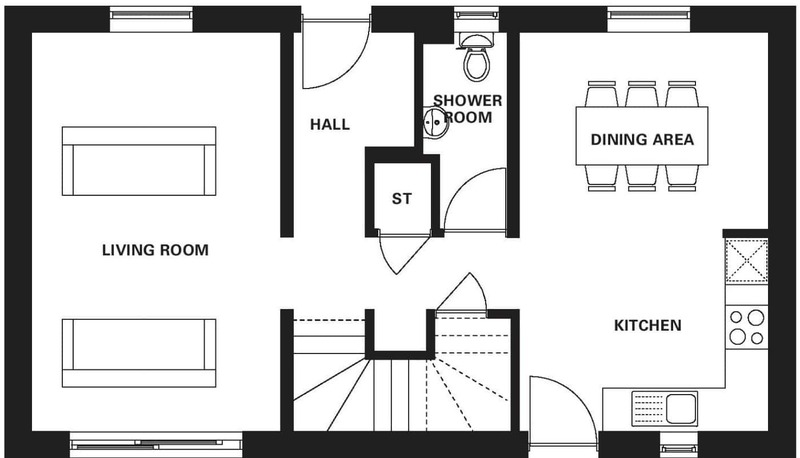 The R2 is a compact yet spacious house, based on the traditional ‘2 up, 2 down’ form. It is suitable for the first time buyer, the layout of the house being deliberately simple to keep construction costs down. The house has an efficient central core housing the bathroom, shower room, storage and stair. Upstairs, there is a large family bathroom and 2 double bedrooms open to the ceiling apex, with large rooflights providing light and views. At ground floor, 2 large rooms provide the main living spaces with a kitchen and dining space to one side and living room to the other. Both benefit from full height glazing to maximise views and solar gain. As with all R.HOUSE designs, the R2 benefits from high levels of insulation and air tightness. The R2 has the provision to add an additional lean-to living space to form an R2.5 and other extension options include an entrance porch and utility space. You can, of course, upgrade your R.House to your own requirements and taste. The list of upgrades above is not exhaustive. Talk to us about what you would like to do and we can advise on whether or not it is possible, how much it will add to the cost and any timescale implications. We will include the cost of any upgrades you require in our firm price, mentioned above.